The latest economic crisis in Greece has led to a snap general election being called on January 25 as a vote of confidence in the current government. A new left-wing, anti-European Union government may seize power and this could lead to change in the eurozone and its bailout procedures. Greek public debt is clearly unsustainable, even though the Greek economy has stabilised during 2014 and shown timid signs of improvement. Recovery is insufficient to bring its debt under control. The options are therefore limited – a new bailout, a default without leaving the euro, or a return to the dracma and, possibly, debt-monetisation. The EU authorities are hesitant to engage in yet another bailout and are inclined to waiting on the sidelines. This prudent attitude is consistent with the prevailing sentiment in the entire European Union – except Greece – where public opinion does not seem overly concerned, as if the Greek developments were unique. If these attitudes are confirmed, new scenarios might open up in the next few months. Greece is making headlines again. Its latest political crisis means the country faces new elections on January 25, 2015. Politicians are doing their best to portray a realistic and yet a not overly pessimistic picture of the Greek economy. The future role of Greece within the European Union and the eurozone, unsurprisingly, plays a crucial role. The essence of the Greek economic situation is fairly simple. Greece returned to growth with annual real GDP growth of around 0.6 per cent in 2014, but unemployment remains scary at 27 per cent overall, and 49 per cent among the young. The public accounts are heavy – the budget deficit amounted to more than 12 per cent of GDP, and the public-debt-to-GDP ratio to about 175 per cent. The Greek public-finance state of affairs is unsustainable, unless there is substantial aid from the troika of the European Commission, the European Central Bank and the International Monetary Fund . Greece is broke, and more and more observers are wondering whether further bailout arrangements make any sense. Greek policymakers have made relatively little progress in bringing about the structural reforms the Greek economy badly needs. These include a more efficient public sector, less corruption, significant privatisation and less regulation. More generally, it is apparent that the repeated bailout programmes have been ineffectual. By providing breathing space they may have actually weakened the drive towards radical change. Greek public opinion is also wary. The Greeks do not see the benefits of foreign intrusion in domestic policymaking. They resent the loss of sovereignty, and tend to associate the drastic drop in incomes which have characterised the post-2008 period with the sacrifices imposed by the notorious troika. Greek public opinion has also become aware that the Greek treasury would have a balanced public budget if it omitted to pay interest on its public debt, and that a balanced budget with a little growth would allow the Greek economy to tread water with no major reforms or social tensions. The real economy is slowly improving – growth is positive, unemployment is declining and foreign investment has started flowing in again. Put differently, the Greeks may freeze debt-servicing soon after the January 25 elections. The immediate consequence would be that the Greek government would no longer be able to raise funds on the market, and therefore reimburse its debt at maturity. Nobody would buy bonds which offer no interest, issued by a country with a bad record as a debtor, a weak economic situation and an unstable political context. In practice therefore, cancelling debt-servicing leads to a choice. Either the Greek government defaults on its public debt and stays in the eurozone, or it abandons the euro, and converts its euro-denominated debt into dracma-denominated debt. It then prints all the dracmas required to pay back the debt – or part of it – when it expires. If the Greek authorities decide to eliminate their public-debt problem along one of these scenarios, international agencies may intervene one more time. They would pay all the foreign creditors of the Greek government – the Greek external public debt amounts to some 300 billion euros – let the Greeks go with zero external public liabilities and then set aside the Greek file at least for some years. As an alternative, the international community may do nothing. It may accept Greece quitting the eurozone and let the creditors suffer the full cost of the default or end up with a heap of dracmas. Institutions and private investors would suffer in proportion to the amount of Greek treasury bills they own, if this were to happen. The Greeks have a relatively easy task, and it would be a mistake if they passed the opportunity to default. Printing dracmas would be less desirable, as it would create a precedent for irresponsible monetary policy. In fact, the key decisions will be taken in Brussels and Frankfurt. In this light, different prospects will open up as a result of how the European Commission and the European Central Bank will move. Handing out 300 billion euros to Greek creditors will be good news for a host of EU banks, insurance companies and investment funds, for all those actors – including private individuals – who would lose significant assets as a result of a Greek freeze on debt-servicing and of the default which would follow. However, it would probably be resisted by public opinion all over Europe, and especially in Germany. An intermediate solution, which would probably be more acceptable should Greece default on its debt, could see the European Union reimburse say about one third of the bill or 100 billion euros. Doing nothing would be more risky from a European perspective as the EU and ECB authorities care about market stability, and markets would be scared if they found out that government debts are no longer protected by the European Union’s facilities – including the so-called European Stability Mechanism. The price of many government bonds would drop sharply, the same would happen to stock exchanges throughout Europe, since many banks and insurance companies are listed, and large and small investors would be badly hit. The counter-argument to this is that markets would finally start considering that government debt is no longer risk free, and that financial resources would no longer feed government spending in poorly managed economies. Instead, they would support productive companies and entrepreneurial projects. We shall see what the future holds soon. But the good news is that gone are the old fears that if a country left the euro the entire euro-system would collapse, with possible repercussions for the European Union itself. Instead, the Greek dilemma could generate a new vision in the rest of the EU. For example, one may imagine a scenario where the euro is no longer considered an essential component of a grand political project, but rather a technical instrument offering monetary rigour and effective monitoring of the banking system. In this light, countries which decide to leave the eurozone are those which believe the euro should serve political goals. By definition, these actors would be at odds with the new vision and, therefore, no longer desirable. The eurozone would no longer include strong and weak members, but only those economies which accept the euro as an a-political corset. The others would be encouraged to leave. A different version of this picture would see the strong-economy-weak-economy partition superseded by a distinction between sustainable and unsustainable debtors. Within this framework, the EU and its European Stability Mechanism (ESM) firepower would be used to rescue only those economies featuring a sustainable public debt. The others would not be invited to apply for bailout funds but encouraged to default and/or leave the euro-club. The Greek difficulties and the EU reaction, or lack of it, could open a new era for the euro. Most observers acknowledge that Greece is a desperate, unsustainable case. However, the key question is not whether Greece will default, but when and how. This is now a far more important issue than euro-membership. Another key question is the uniqueness of Greece. Can other troubled countries afford to ignore the threat of a potential domino effect unleashed by the Greek experience? 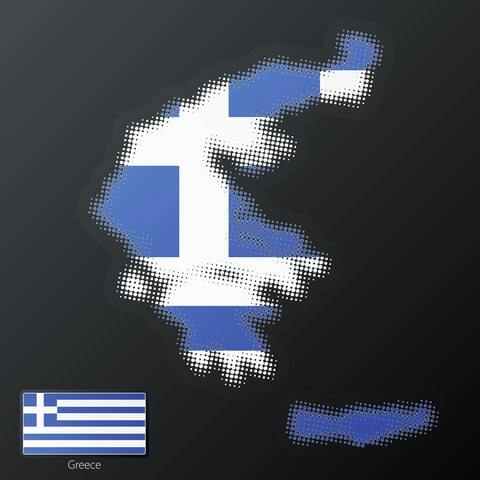 The general climate prevailing today suggests that Greece is indeed perceived as unique. But the mood might change, and it is clear that the informal relationship between national and EU authorities will play a crucial role in assessing debt sustainability, and therefore access to bailout funds. The lack of enthusiasm characterising the EU and ECB involvement with the Greek developments could signal that the euro is becoming what it should have been from the beginning – a monetary unit which could occasionally be the object of counter-cyclical policies, rather than an instrument to accommodate EU centralised policymaking in a variety of areas including government taxation and spending. If this new vision gains traction, however, we can expect new tensions in Brussels and Strasbourg, between those who advocate more centralisation and those who would like to recover national sovereignty and responsibility for their decisions.